Support live jazz along the riverfront Labor Day weekend! The Riverfront Jazz Festival began in 2004 to take place on Labor Day Weekend and was originally named the Stevens Point Jazz Festival. Its goal was the promotion of local jazz musicians, nationally renowned acts, tourism and a family friendly atmosphere. In 2004 it had an attendance of almost 2,000 people for a one-day event. 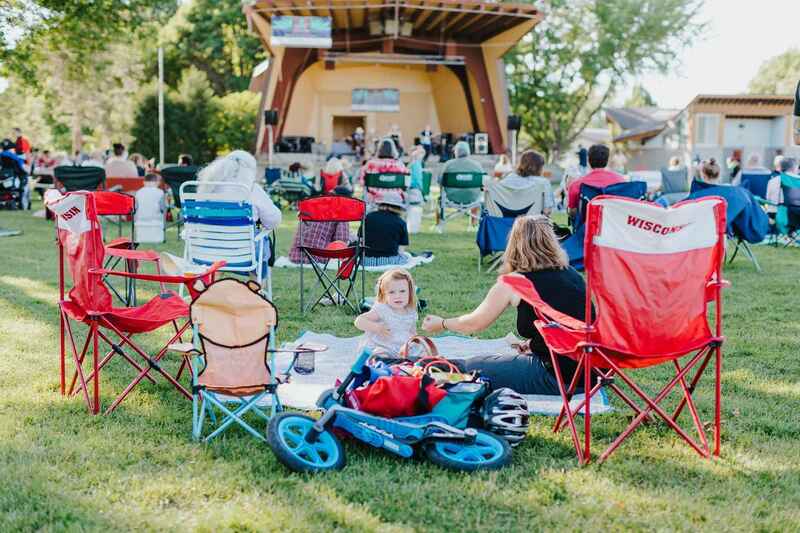 In 2005 it was expanded to a two-day event and attendance was over 3,000 each day, making this event the largest Jazz Festival in Central Wisconsin in just two years. It continues to grow with an estimated number of over 5,000 festival-goers, each Labor Day Weekend. Establish funds for the UWSP Jazz Music Program. Become a supporter of the fest! Your money goes directly to the UWSP Jazz Music Program.